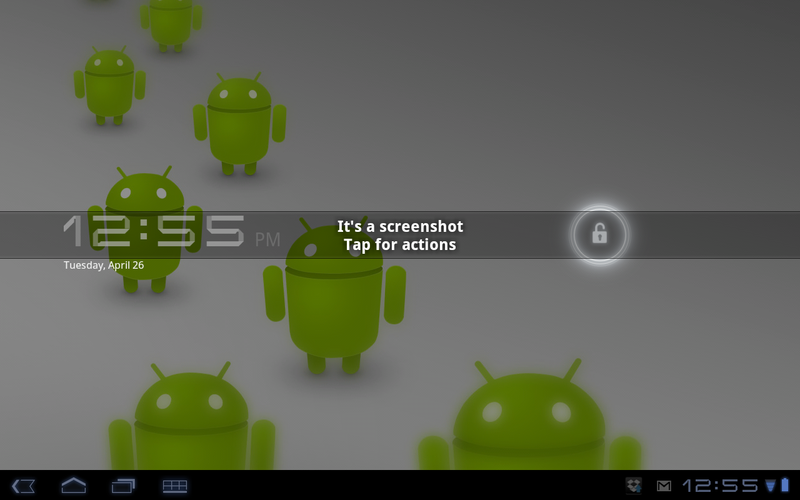 Screenshot ER has been floating around the back alleys of the Android developer community for a month or two now, and to my knowledge is still the only screenshot app that has full support for Honeycomb and the Motorola XOOM. What makes this app really great though, is the fact that it gives you a quick preview of the screenshot you just took and allows you to share it, save it, or discard it. 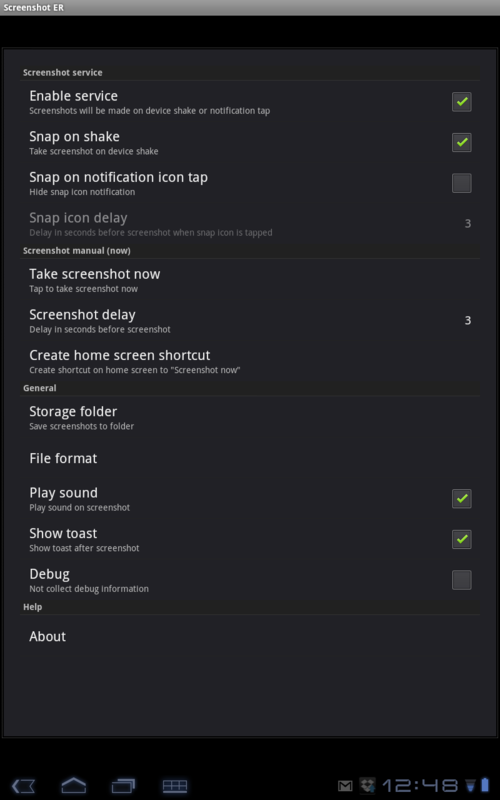 Most of (or all of) the other screencappers simply take your shots and drop them in a folder that has to be found through your gallery or file manager before sharing or approving. Seems like such a simple step removed, but man does it make a difference. 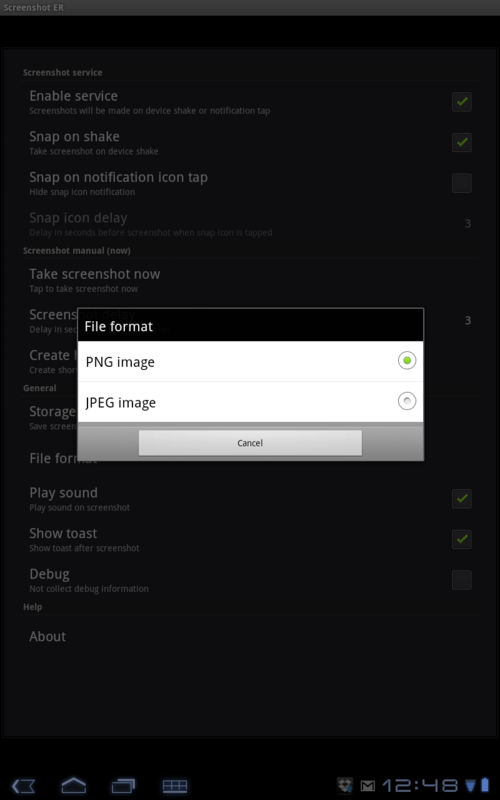 Screenshot ER also allows you to specify a save location and picture type. Market Link ($.99) – Rooted users only.